Spotted some T-Bird practice this afternoon! WARNING: Amateur iPhone photography ahead! Scott AFB is having an air show this weekend. I’ll unfortunately be out of town, but I managed to park at the end of the runway and catch a glimpse of the practice runs. They didn’t open up flight line access today, but I could easily make out some of the other aircraft on display, including: C-5M, C-17, EC-130, **Bone**, F-22, F-35, KC-10, B-25, Japanese A6Ms (Tora Tora Tora), as well as the usual Scott fair of C-21/C-40/KC-135R. I saw the 5th gens flying aerobatics earlier in the day. The JSF is LOUD. 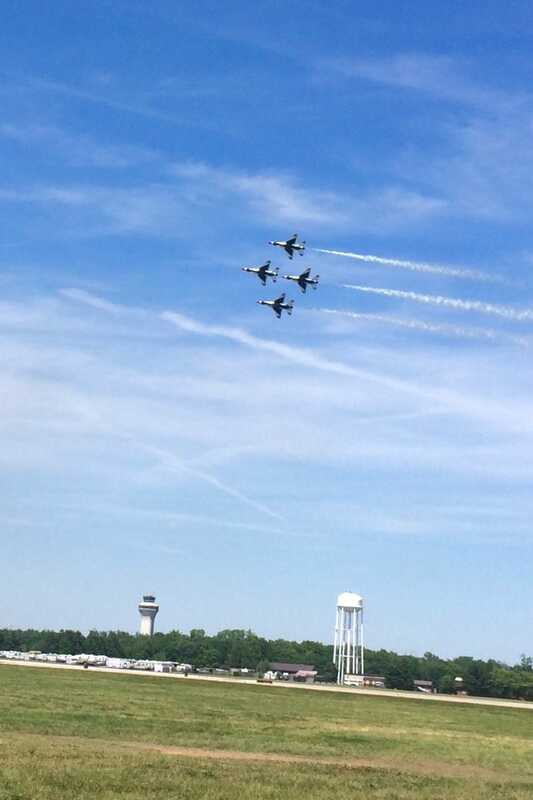 If you live anywhere near Scott AFB/STL, you should go to the airshow because airshows are cool.